This super tiny mod still uses an 18650 or 26650 battery! 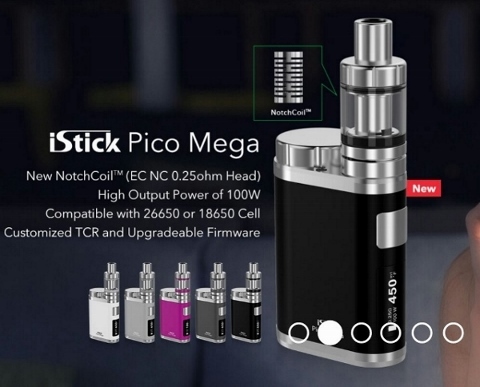 The iStick Pico Mega, just like its name, is preferable, innovative, compact and outstanding ( PICO ). Powered by single interchangeable 18650 or 26650 cell, it provides you with 100W maximum output and switchable VW / Bypass / TC-Ni / TC-Ti / TC-SS / TCR modes.